Food Industry And Health Experts Face Off Over Package Labeling : Shots - Health News The food industry's efforts to make finding nutritious food easier may instead make it more confusing for consumers to understand, say health and food experts writing in the New England Journal of Medicine. The small print in the bar at the top of the Corn Pops box is an example of industry's voluntary approach to enhanced nutrition information. For some of us, the regular trudge to the grocery store is a trial all by itself. But consumers trying to make healthier choices are often left scratching their heads in wonder at the sheer volume of food products with claims about less fat and more whole grain. When first mom and food maven Michelle Obama called for some clearer guidance last year, the food industry proposed a simple, front-of-package label called Nutrition Keys. It has boxes with information on saturated fat, salt, sugar and calories, plus two optional ones for industry to decide what nutrients they would like to promote — such as potassium or fiber. But Kelly Brownell, who heads the Rudd Center for Food Policy and Obesity at Yale, says the industry proposal makes things worse for consumers instead of better. For starters, the timing of the industry proposal is suspect, he says. "They've completely preempted the White House, the Food and Drug Administration, and an Institute of Medicine committee report that are all working on coming up with an ideal front-of-package system." In fact, the independent IOM is expected to release its final recommendations this fall. But the industry's Nutrition Keys program is already under way, and the hope is that it will soon reach 70 percent of packaged foods and beverages in the U.S.
Brownell isn't sure it will do much good. "If left to its own devices, it's pretty apparent that the industry will not come up with a system that works for consumers and will help guide healthy food choices," he says. The Grocery Manufacturers Association tells Shots that Nutrition Keys is "aligned with the IOM's 2010 nutrition labeling findings" about which ingredients should be highlighted on packages. The GMA also argues that the results of its own testing show that consumers like the icons in part because they're simple. But case in point, Brownell says, is the industry's previous effort at creating a simple labeling system. 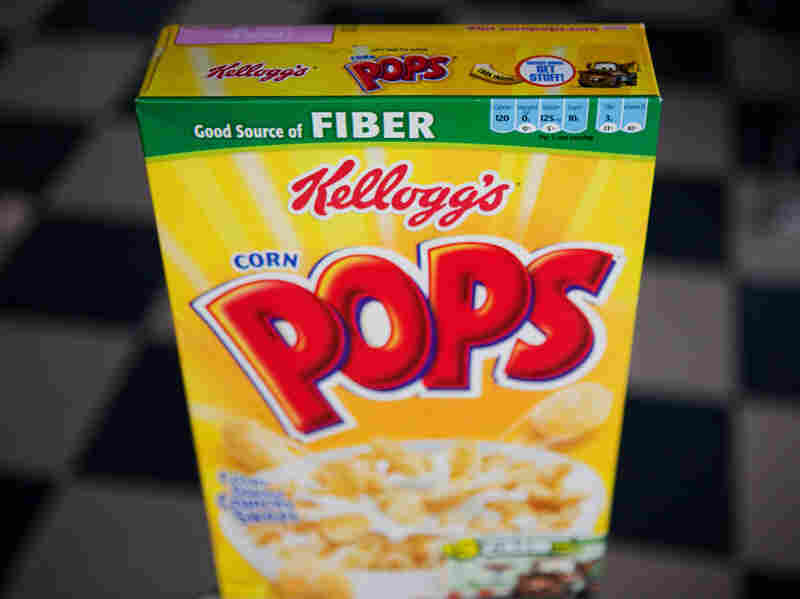 It allowed things like Froot Loops and Cocoa Krispies to be considered "Smart Choices" because they contain certain vitamins, nevermind the sugar. It was later discontinued after much criticism. Another problem Brownell notes is that the industry would have a lot of leeway under its proposal to decide what nutrients to include — potentially causing another round of back-and-forth between industry and regulators. And besides that, on one package of Cocoa Krispies he picked up at the store, the Nutrition Keys only took up 1.5 percent of the surface area of the front of the box, he says. "My guess is that consumers will be lucky if they even notice it, much less make use of it," he says. Brownell and Jeffrey Koplan,vice president for Global Health at Emory University, published a perspective piece in the New England Journal of Medicine today suggesting that so much is at stake on food labeling, the food industry should just wait for the IOM report. The editorial says more research is needed, and it proposes labels that are simpler, colorful and less numbers driven — like the U.K.'s "traffic light" color-coded symbols. That way, consumers could figure out with a glance what foods are a go, a go slow, or a stop.